Tickets are on sale now for the Hops & Harvest Festival. Please follow this link to purchase tickets. Presented by CoFestCo, this event takes place across two sessions and features unlimited tastings of Maryland-produced beer, wine, and spirits. The Mid-Day Session is open from 12:00 pm to 4:00 pm and the Twilight Session is from 5:00 pm to 9:00 pm. 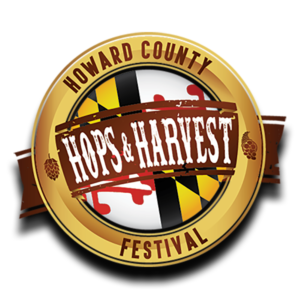 The Brewers Association of Maryland is proud to partner with CoFestCo on the Hops & Harvest event and we are thrilled to showcase Maryland breweries in the heart of Howard County. Updates regarding participating breweries, wineries, and distilleries coming soon!